Funkiball Adventure is an amazingly addictive new brick-buster that takes you around the world to recover some of the world's most famous works of art. Just smash the ball to break into their hiding places and steal them back! Can you collect all the paintings? Can you get 5 stars in each level? Can you reach Legend status? 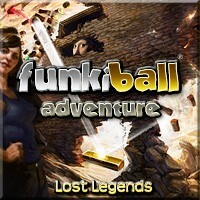 The fun never ends with Funkiball Adventure! query: INSERT INTO accesslog (title, path, url, hostname, uid, timestamp) values('Funkiball Adventure', 'node/1002', '', '3.80.224.52', 0, 1556143266) in /home/surelion/public_html/drupal-4.6/includes/database.mysql.inc on line 66.